Academics and government, military and civil society representatives gathered for a conference in the Senegalese capital this week to assess the interplay between development and violent extremism in West Africa, with some participants suggesting that underdevelopment, marginalization and weak governance create a breeding ground for militancy. While local factors in West African and Sahel countries have contributed to extremist violence, the rise of global jihad in the wake of the US-led "war on terror" since 9/11 has also played a part in spreading radical militancy in the region. "In the Sahel, there is a combination of bad governance, poverty, insecurity as well as several internal and external factors [that contribute to extremist violence]," said Ahmedou Ould-Abdallah, head of the Centre for Security Strategy in the Sahel and the Sahara, at the opening of the 6-10 May Dakar conference. "The Sahel has provided an ideal ground for extremist violence to take root and spread beyond national borders," he said. The region has a history of instability. Since the first post-independence coup in West Africa that toppled Togo's founding president in 1963, it has seen a string of coups, some of which have sparked civil wars. West Africa is also one of the world's most impoverished regions despite its natural resources. Seven West African countries occupy the bottom 10 places in the UN Human Development Index. For example, Mali's Tuareg have been fighting perceived marginalization by the central government and demanded an autonomous homeland in the country's north. Following the March 2012 coup in the capital Bamako, the Tuareg National Movement for the Liberation of Azawad seized towns from government troops in the north, but was soon driven out by militant Islamist groups. Nigeria's increasingly violent Boko Haram militia, which wants an Islamic state, should be seen as a reaction the government's entrenched corruption, abusive security forces, strife between the disaffected Muslim north and Christian south, and widening regional economic disparity, according to the Council on Foreign Relations. Some observers stress the local aspect. Militant Islam in Africa, while linked to broader ideological currents, is mainly driven by the local context, with Islamist groups emerging, evolving and reacting to immediate local concerns, University of Florida's Terje Ostebo, argued in a November 2012 paper published by the Africa Centre for Strategic Studies (ACSS). "Supporting development is a long-term approach to undermining drivers associated with violent extremism." 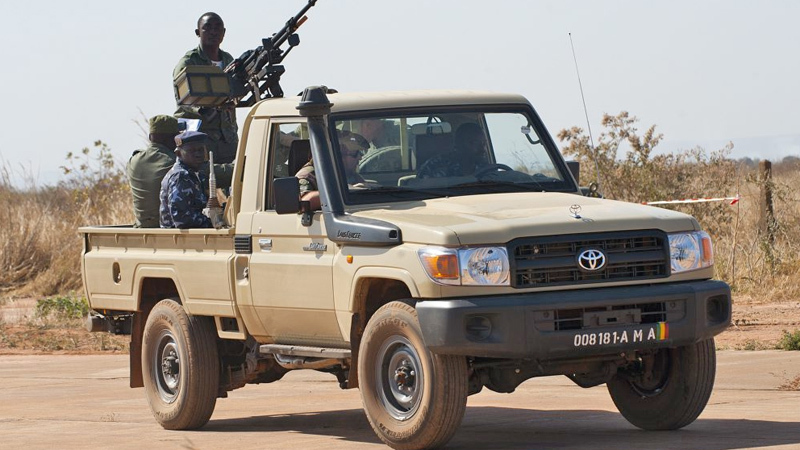 "The Malian government's failure to consistently invest [in] and maintain a strong state presence in the north. created an enabling environment for the expansion of Islamic militancy and the escalation of violence in this region," said Ostebo, an assistant professor at the university's Centre for African Studies (ACSS) and the Department of Religion. "Poverty and underdevelopment and a sense of marginalization and exclusion that comes from lack of governance, particularly at the local level, are seen as drivers associated with violent extremism," Benjamin Nickels, an assistant professor with the ACSS, told IRIN. "Supporting development is a long-term approach to undermining drivers associated with violent extremism," he added. "You do have a number of underlying factors that make certain regions particularly vulnerable to violent extremism and extremist ideologies, and then you have a number of factors that trigger violence. Amongst these factors there is an underlying economic dimension that often gets missed," said Raymond Gilpin, the ACSS academic dean. Poverty, unemployment and socioeconomic deprivation partly explain the rise of Islamist movements - violent and non-violent - argued Ostebo. "There are other factors of extremist violence. However, it is easier for militant groups to recruit unemployed youth who see no future for themselves, than those who are in employment. The more young people are able to be employed the less chances there are that they can be recruited by militant groups," said Gilles Yabi of the International Crisis Group. "Development is part of the measures against extremist violence. But we are already in a situation [in West Africa] where underdevelopment is so deep that reversing it is very difficult," he told IRIN. Ould-Abdallah cited other factors such as West Africa's wide geographical area, weak public institutions and people's and governments' loyalty to tribe and clan rather than the nation state as also contributing to crime and extremist violence in the region. "The priority for Sahel right now is to help resolve the Mali crisis. After Côte d'Ivoire, Liberia and Sierra Leone, West Africa does not need another protracted crisis," said Ould-Abdallah.